Reporting software for busy founders. 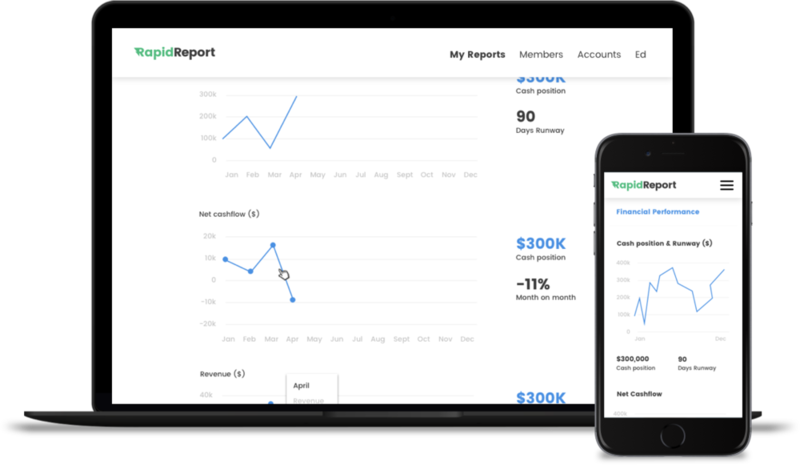 Our online report builder was designed with busy startup owners in mind. The guided template teaches you how to provide good quality updates that your board members and shareholders will love. Write a general summary on how your business went last month. Show and track your progress with customisable charts. Invite shareholders to view the report online when it's ready. Reporting was hard. Now it isn't.